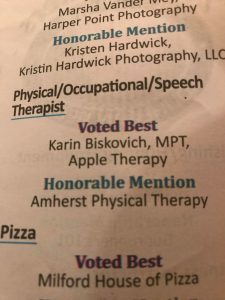 This fall we were honored at the Best of Souhegan 2018 awards banquet, and it was an excellent time! 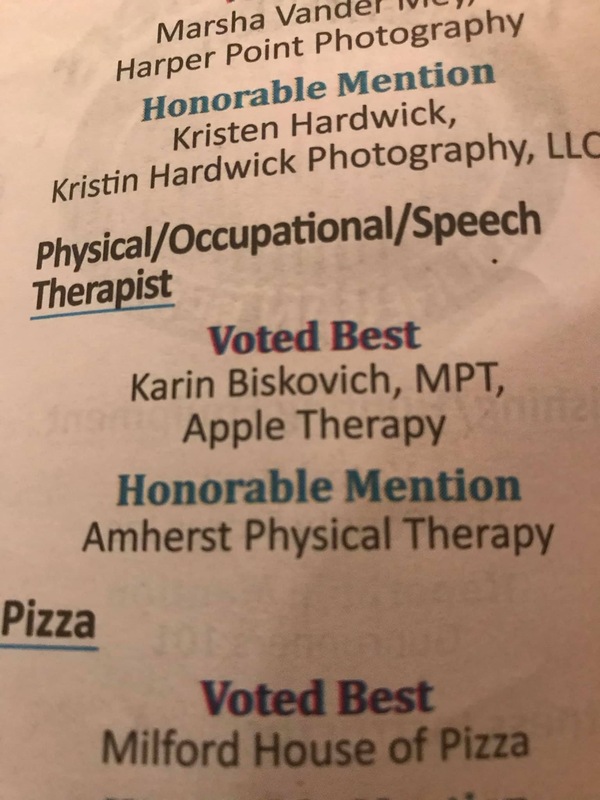 Each year, the ‘Best of Souhegan Valley Region Awards’ recognize local businesses and services that go above and beyond in the Souhegan Valley, and winners are chosen by the readers of the Cabinet Press and their publications. More than 300 members and guests came out for the ceremony to recognize local businesses and community leaders for outstanding contributions and accomplishments within the community at the Alpine Grove Banquet Center. It is such an honor to receive this incredible community recognition! We at Amherst Physical Therapy will strive to always be the very best we can be for our patients and our community.